Internet search company, Google, is consolidating its Checkout and Wallet online payment platforms into a single, unified payment service. Once merged, the service will retain its Google Wallet branding. Just recently, the company released Google Wallet as its Android-based mobile payment system. Wallet utilizes NFC (near-field communication) for making purchases through your phone at a physical store. Google Checkout is an online payment service used for Internet stores, similar to PayPal. Combining the two seems to be a natural step toward using Google for payments everywhere and anywhere. In 2006, the company released Google Checkout, which was intended to be an alternative to Paypal. The goal of these online payment services is to offer peace of mind and convenience. They do so by acting as a sort of proxy between consumers and the sites they buy from, ensuring their raw financial information is not exposed to every website they patronize. 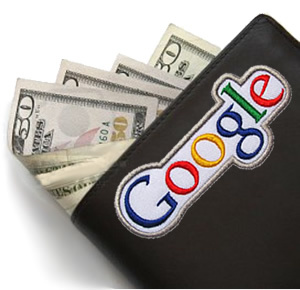 Google Checkout boasted lower transaction fees and even no fees for qualifying non-profits. However, Paypal's parent company, Ebay, was not about to play nice. The International auction site banned the service from being used on its website and perhaps thus single-handedly kept Google Checkout from rivaling Paypal's ubiquity. Existing Google Wallet users will be able to use their credentials to sign on to sites which accept payments from Google Checkout. If you you are a Google Checkout user but have not signed up for Google Wallet, you should be able to automatically transition your account the next time you sign in. All users now have access to their information and payment history through wallet.google.com/manage. The transition should be transparent to merchants.